What are Digital Product sales? Selling any digital file through your client galleries is easy! 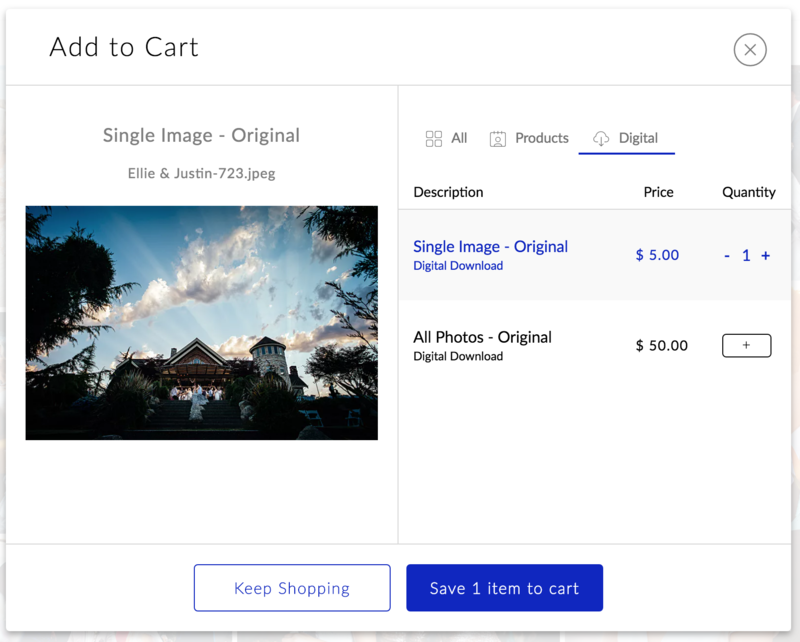 In addition to selling prints through either our Auto Fulfillment or Custom Fulfillment methods, you can also sell digital files through your client galleries with ease! These digital products can be added to any Catalog and are automatically emailed to your client after purchase.